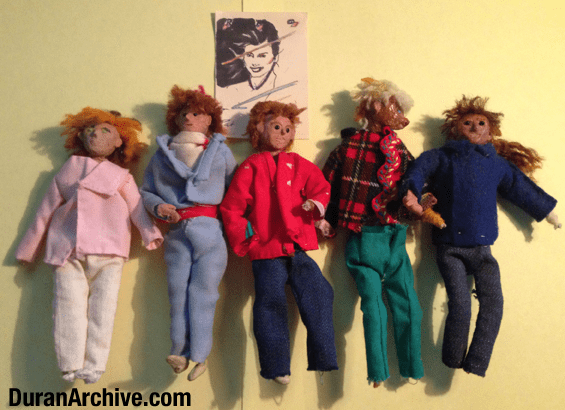 Duranies Unite fanzine founder, Anji Bee, created hand made dolls of all 5 Duran Duran members – plus their wives/girlfriends – back in 1983. 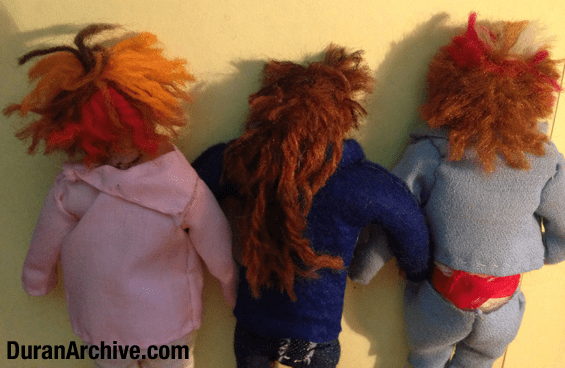 Somehow these dolls survived the ensuing decades, tucked away in a box. The Simon doll is the worst for wear, with a melted face, poor guy. 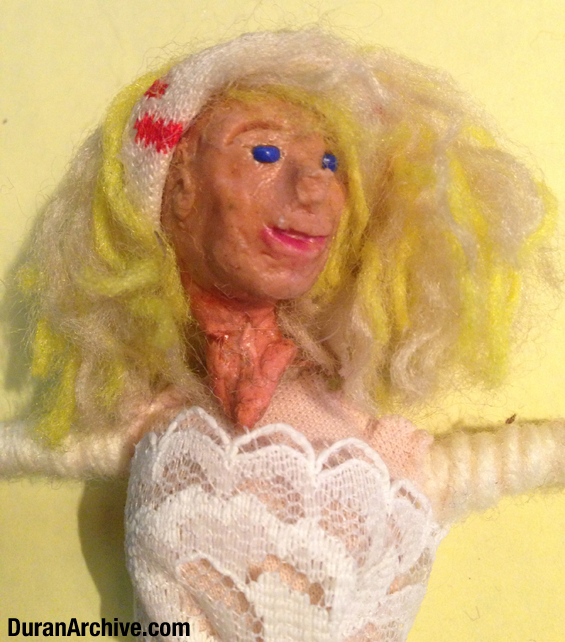 The dolls faces are formed from Plasticene modeling clay worked around a large bead and attached to a pipe cleaner and yarn frame, which forms the bodies. The clothes are all hand sewn from a variety of fabrics including cotton, knit jersey, lace, velvet, corduroy, felt and flannel. 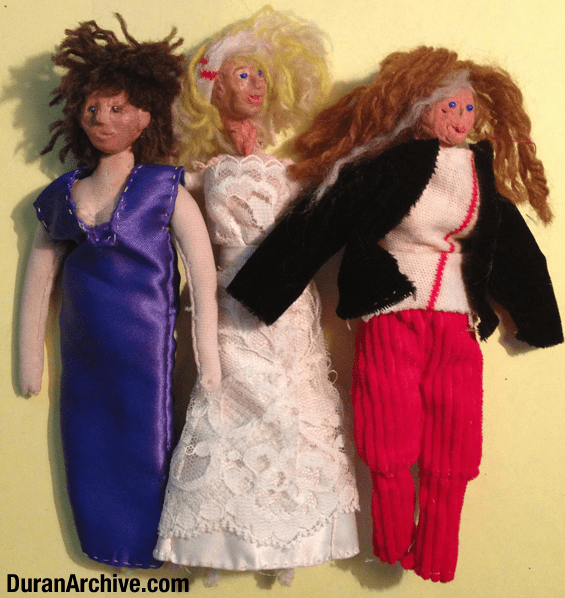 The dolls have seed beads for eyes and fairly detailed yarn hair reflecting the band’s early 80’s hairdos. Check them all out in the photo album below!